Van Garderen placed second behind Chris Froome (Sky) in 2014 after riding the 5.7 kilometers up Green Mountain. The climb in the barren countryside outside of Muscat typically decides the overall. Froome won last year and van Garderen, just as he placed on Green Mountain, came in second overall. Valls attacked to form part of the final group two days ago, but was not considered a favorite to win Friday’s stage. That status was reserved for Nibali, Rafal Majka (Tinkoff-Saxo), and Alejandro Valverde (Movistar). Nibali attacked early. The red and black BMC men pulled him back and placed the 26-year-old in position to win the stage. “I was hoping for the victory. I was feeling good all day, the team rode superb on the last climb. When I attacked, I dropped Valverde and Majka. I thought, ‘smooth sailing.’ Those were the two guys I was worrying about. 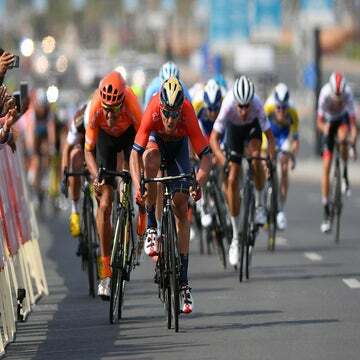 Valls, I definitely underestimated him and he got the better of me in the final,” van Garderen said. Valls dropped van Garderen in the last kilometer. Van Garderen returned, but could not hold on in the final pitch to the line at 1,235 meters above sea level. He finished five seconds behind and is now 19 seconds out of first. “He just had that last little bit in the end,” van Garderen said. Van Garderen climbed into the team car for the two-hour ride back to the Millennium Resort. He and BMC sport director Valerio Piva will talk about the overall standings, which show Valls on top by nine seconds thanks to his four-second bonus over van Garderen. In the two days of racing that remain, Piva explained it would be more likely that an explosive rider like Valverde could steal the overall lead tomorrow. 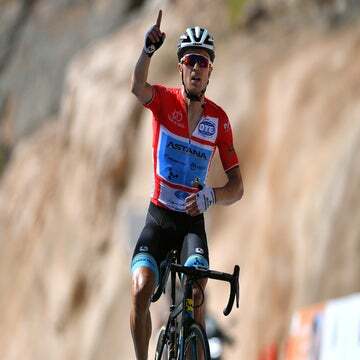 Van Garderen last won an individual stage in Vail, Colorado last summer, taking the stage 6 time trial and going on to win the USA Pro Challenge. He also helped BMC win the team time trial at the UCI Road World Championships last fall. Last July, he placed fifth in the Tour de France. Van Garderen warned followers of reading too much into Friday’s result, but that it was a “good gauge” for the 2015 season to come. Like last year, van Garderen will lead BMC in the Tour de France.